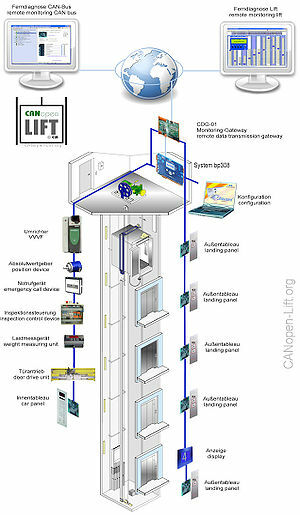 In the period from 15th to 18th October 2013 the world's largest trade fair for elevator technology Interlift 2013 will take place in Augsburg. The CiA will be present there once again. They will supply an information stand on CANopen-Lift and the CANopen-Lift Demonstrator to demonstrate the functionality of CANopen in lifts. Many new and familiar CANopen products will also be on display at the booths of many manufacturers.